In the world of real estate, days can get crazy! What would we do without coffee? 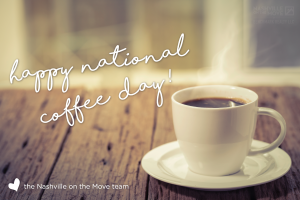 Celebrate National Coffee Day today – Thursday, September 29 – by getting a free cup or a rockin’ discount at different shops around town!